Confronted with friends that could not remember the "square pair" moniker, these cards were a fun way to announce the squarepair.com Web site. The back of the card served an extra duty of allowing a "fill-in" to direct people to a specific URL when it was warranted. 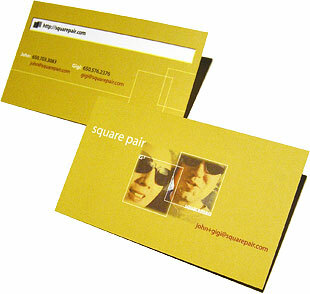 Cards are 4/4 with satin coating.